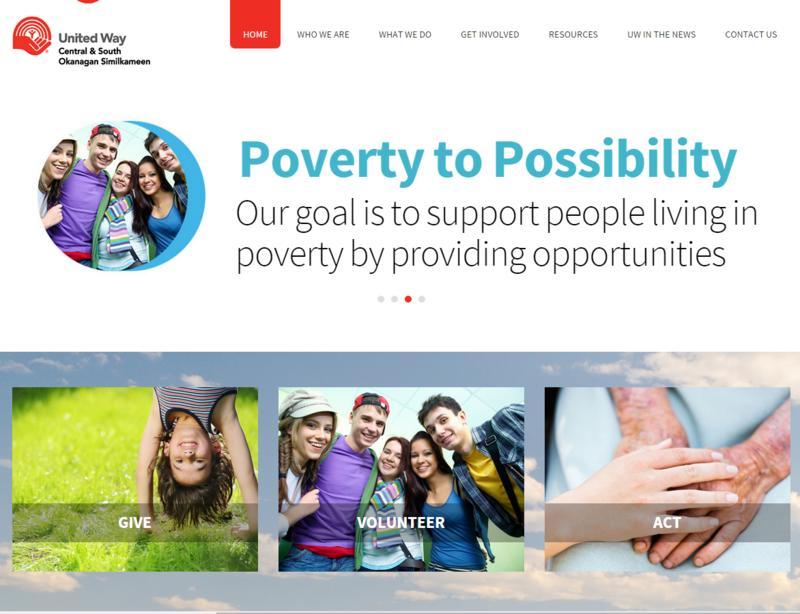 Over the summer we have been working on the new United Way website. The site change was the result of a national brand being mandated across Canada. United Way’s mission is to create opportunities for a better life for everyone in the community. They improve lives and build community by engaging individuals and mobilizing collective action. One of the new requirements of the site was to make the format and interaction more inline with their social media efforts. As United Ways social media grows and becomes more significant with respect to their fundraising and awareness campaigns the site needed to feature tools and techniques that supported those efforts. This included event tools, announcements, opportunities to join the organization and others. On a marketing front there was a need to focus more on the types of programs they run in the community. This includes national programs about “Poverty to Possibilities”, “All that Kids can Be” “My Story” and others. These new program sections are colour coded to help build a theme for the regional and national efforts. Spincaster’s challenge on this project was to try and implement a fairly generic style that followed the national brand while making the content and story local. This involved a change in the site architecture and sitemap. Navigation focuses more on the visitor and what they are looking for versus United Way and what they do. We now have active headings for “Who We Are” “What We Do” and “Get Involved”. The home page also features strong calls to actions with Give, Volunteer and Act as the main links to internal section on the site. We also added a count-down clock for the next event that United Way is involved in right on the home page. One thing you will notice on the new site is the attention to page layout and how these content pages like Our Story, Funded Partners or Contact Us are nicely designed. There is also a new section on community stories and how United Way’s efforts and programs directly impact the quality of life for many in our community. It is also a nice opportunity to donate time and resources towards a great cause in the Okanagan Valley. Please consider donating to the United Way. We feel our contribution is very well spent and we expect you will feel the same.